Wollongong’s Bisalloy Steels has landed a contract to supply its add-on armour range for armoured fighting vehicles being built by Rafael Advanced Defense Systems. The $900,000 contract marks the appointment of Bisalloy to Rafael’s global supply chain, and follows the successful completion of an extensive testing and evaluation program, which included a detailed assessment of not only Bisalloy’s product range but also the company’s technical expertise, production management systems and global supply capability. "The performance of Bisalloy and its BISALLOY Armour steel range during our testing and evaluation program was highly impressive," said Ido Spitzer, Rafael Australia’s general manager. 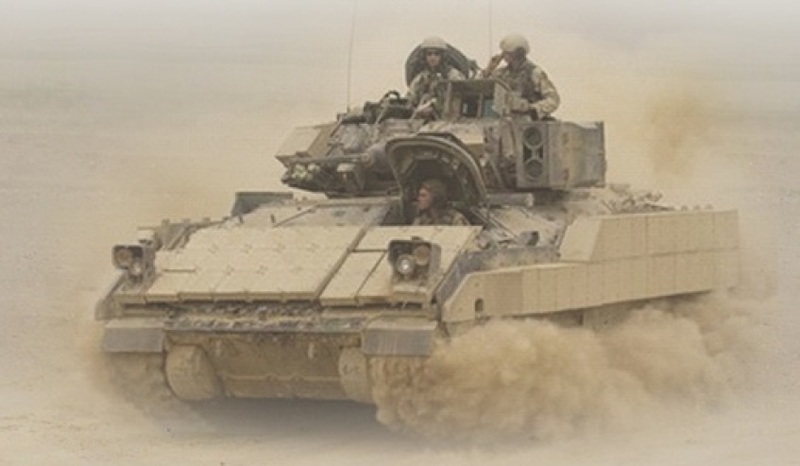 "New supply-chain partners have to meet the highest standard of capability and product performance to participate in our programs because ultimately lives depend on the performance of our armoured vehicles in combat situations. We are proud to be not only expanding our Australian footprint, but also strengthening our commitment to taking Australian technology and expertise to the world." Bisalloy's business manager – armour, Justin Suwart, said the contract was a significant step for the company. "Rafael is a globally respected name in the defence industry and it is testament to our position as a competitive Australian supplier in the world market that we have been able to form this new relationship," said Suwart. Defence Industry Minister Christopher Pyne congratulated Bisalloy on securing the contract, saying it was evidence local businesses in regional Australia can successfully compete and win global supply chain contracts with big defence companies. "I am delighted Wollongong-based Bisalloy Steels will provide the armour range for armoured fighting vehicles which will be used to protect allied soldiers in combat," Minister Pyne said. "This contract demonstrates Australian defence industry’s world-class capabilities, creating and securing jobs and opportunity in regional areas as well as urban ones. Bisalloy Steels has indicated they will create over a dozen new jobs to expand their business in the medium term, which is great news for workers in the Wollongong area." Rafael Advanced Defense Systems announced the official opening of its Melbourne-based subsidiary, Rafael Australia, late last year. It also announced its partnership with NSW defence engineering company Varley Australia to create a state-of-the-art manufacturing facility in Australia, which will provide production and support of Rafael's new, fifth generation Spike LR2 anti-tank guided missile. Varley and Rafael's facility will become the first to manufacture the Spike LR2 outside of Israel. Rafael is hoping to have its products provided to the winning bidder of the LAND 400 Phase 2 project.